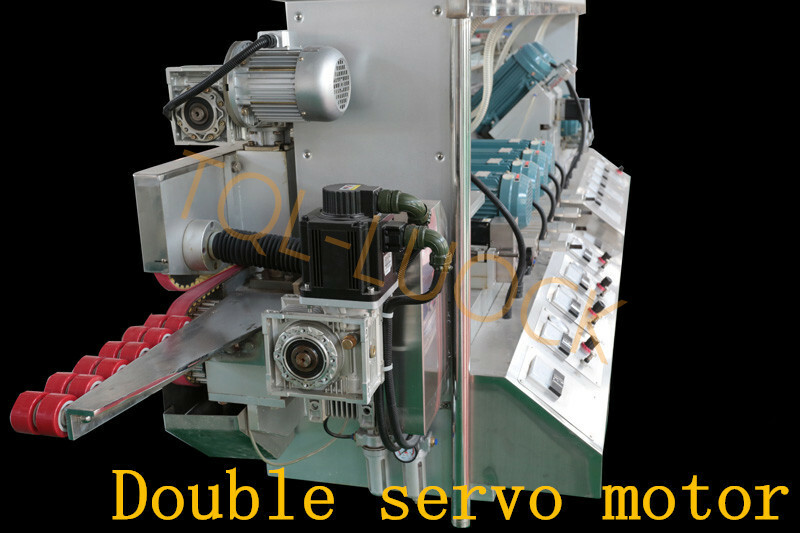 Double servo motor glass convey system,steady speed,better accuracy,higher polishing degree. 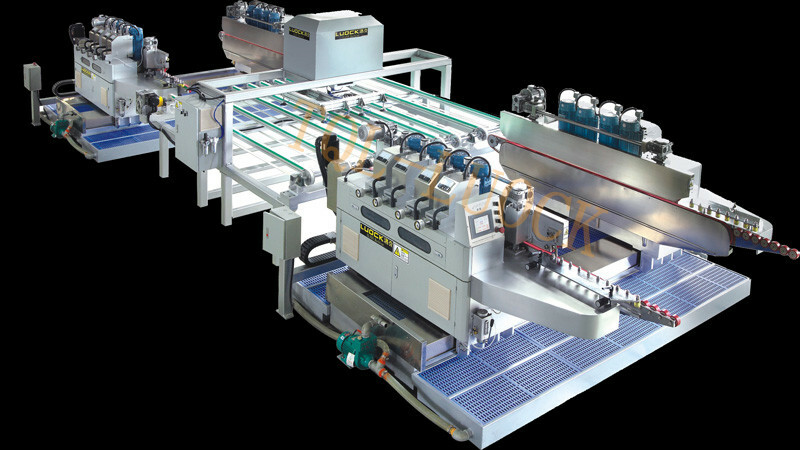 SKG series is a new kind of CNC linear four edging glass grinding machine, with linear layout and less occupied area. making safety corner, washing, etc. automatically in one time. adjustment and chamfering width can be set on the screen). safety, saving time, saving energy, saving manpower, high production efficiency, high finished product rate and environmental protection. 1, Servo driving chamfering equipment. 2,LOW-E glass membrane removal equipment: grinding and low-e membrane removal are finished at the same time. 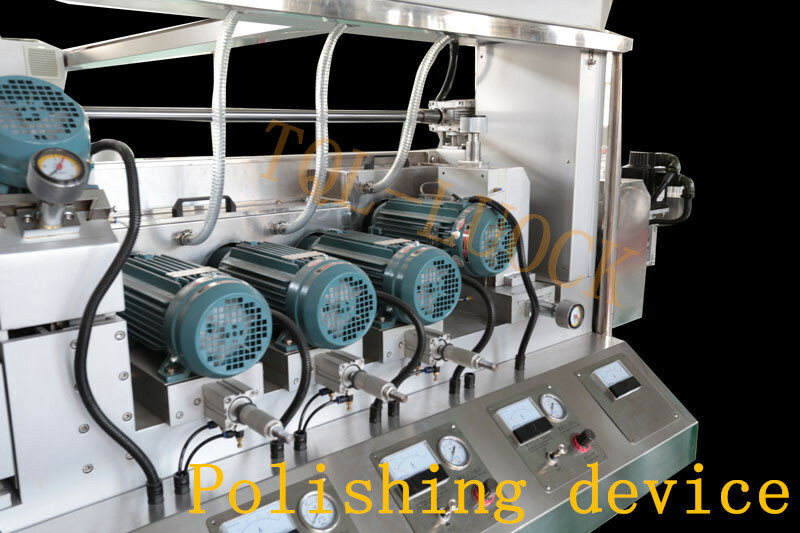 3,Auto-polishing equipment: Supply glass automatically, no need manual adjustment. 4, Barcode identified glass grinding system: Can connect to any ERP management system. 6,Glass size auto-measure system: Can measure glass size automatically, no need manual input and confirming.